Do you have a "cool aunt"? I have several aunts -- the one that travels the world to exotic places, the good listener, and I also have a "cool" aunt. She talked to us kids like we were equals, and when I was an awkward pre-teen, she let me look through her fascinating book that told me about which make-up and clothing colors look good on you (I discovered from the book that I look best in "fall" colors). My cool aunt also is a great cook, and one year for Christmas gave me a stack of recipes written out on index cards to add to my collection. 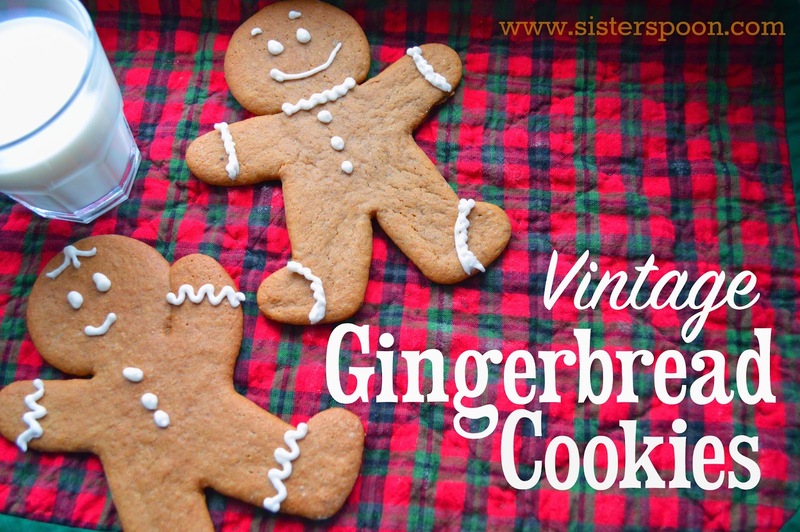 One of these recipes is for "Old Fashioned Gingerbread Cookies". I pulled out the index card in my cool aunt's handwriting when looking for Christmas traditions to start with my own family. My grandma had something like 23 different kinds of Christmas cookies she made every year to go on her famous cookie trays. With three young kids -- I can realistically pull off two kinds. So we do sugar cookies, and these gingerbread cookies, which I cut out with my mom's old jumbo cookie cutter. 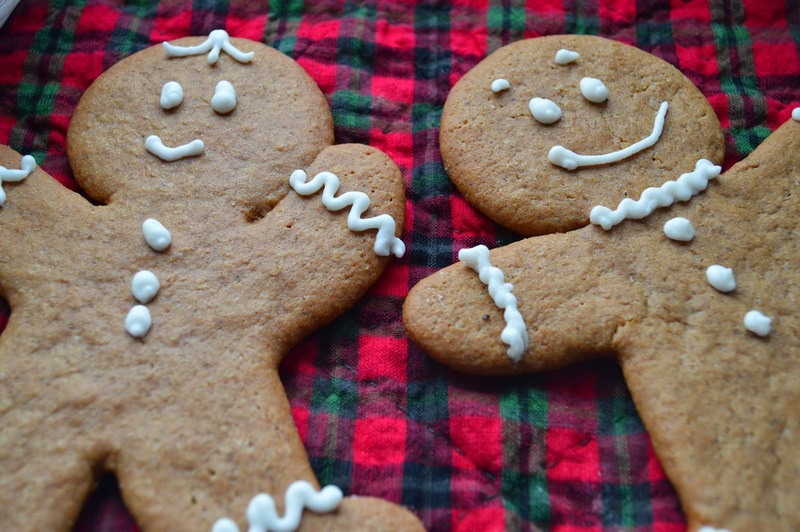 The kids make a joyful mess decorating the sugar cookies, and these fun spiced guys are a classic. 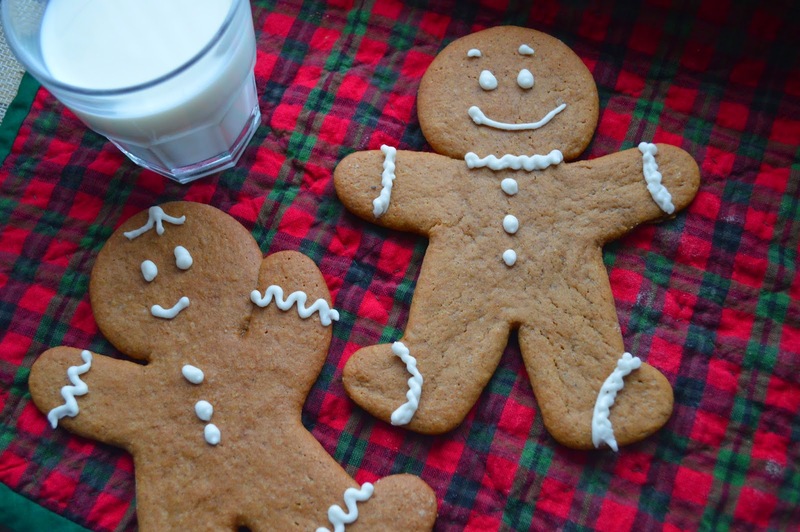 So here you go -- an old-fashioned gingerbread cookie recipe for you. Start your own holiday tradition (and invite your cool aunt over to have some too!). 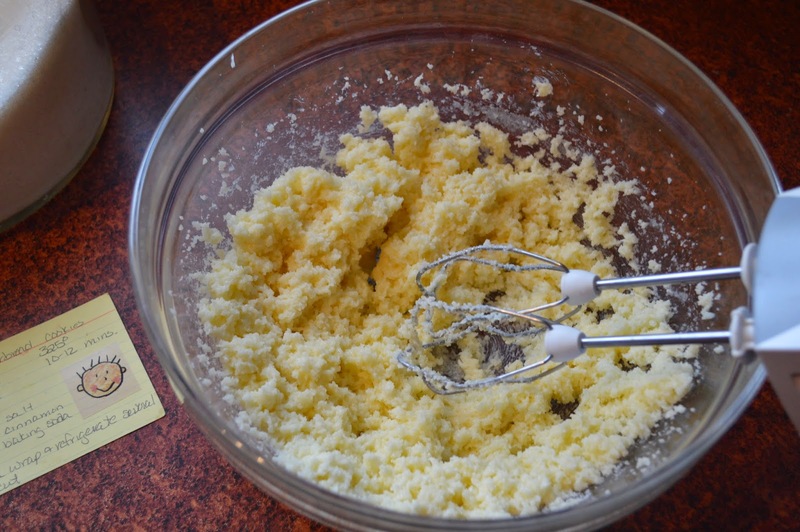 First we need to cream the softened butter and sugar. It should end up looking fluffy, like this. Throw in the eggs and the molasses. Beat that in to the butter mixture. Now add the flour and the spices. Mix it all up. 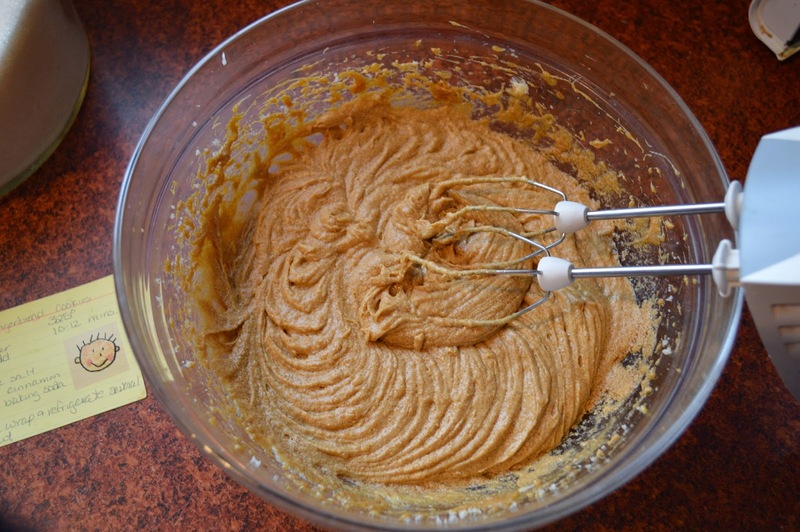 When you mix this together it'll be a sticky dough. So we can't roll it out yet. We can, however, sample the dough and lick the beaters. And we need to chill the dough so that it's stiff enough to work with. Wrap in plastic wrap and refrigerate a couple of hours or overnight. 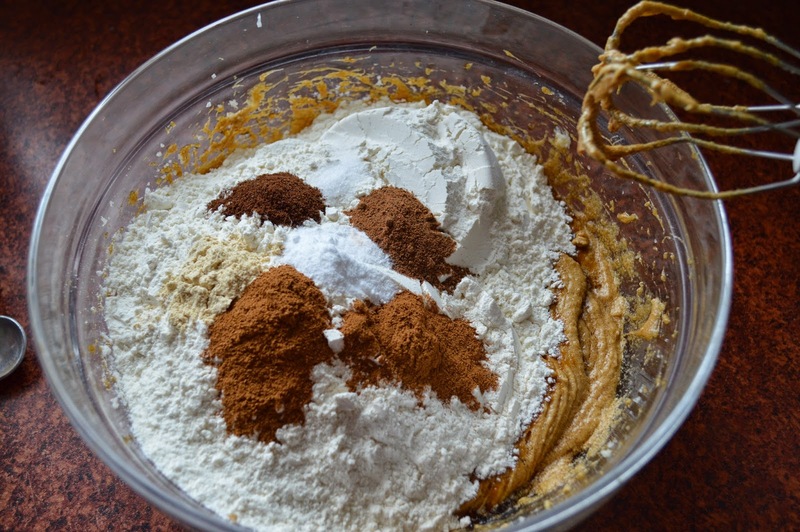 Divide the dough in two chunks. 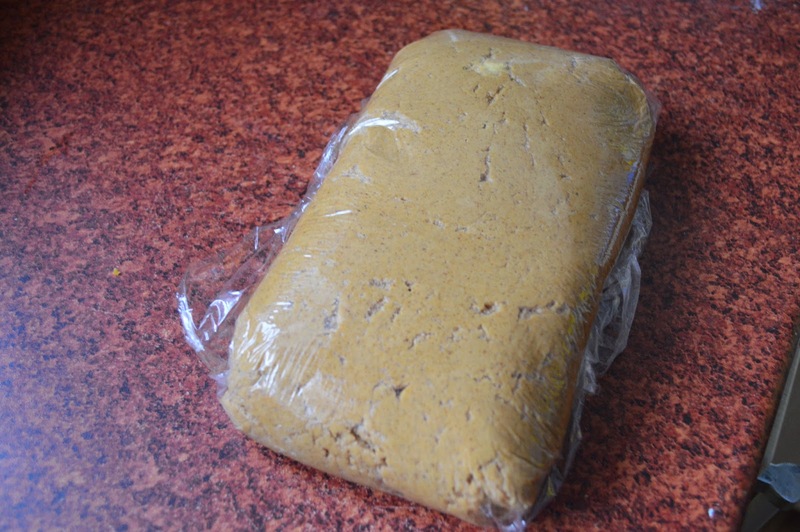 Re-wrap and refrigerate one of the chunks. Roll out the other half on a floured counter-top. The thinner you roll them out, the crispier they'll be. I myself prefer a softer cookie, so I try not to roll too thin. It's hard to tell in the photo, but it's probably a bit thicker than pie crust. You can also preheat your oven at this point. 325F (165C). 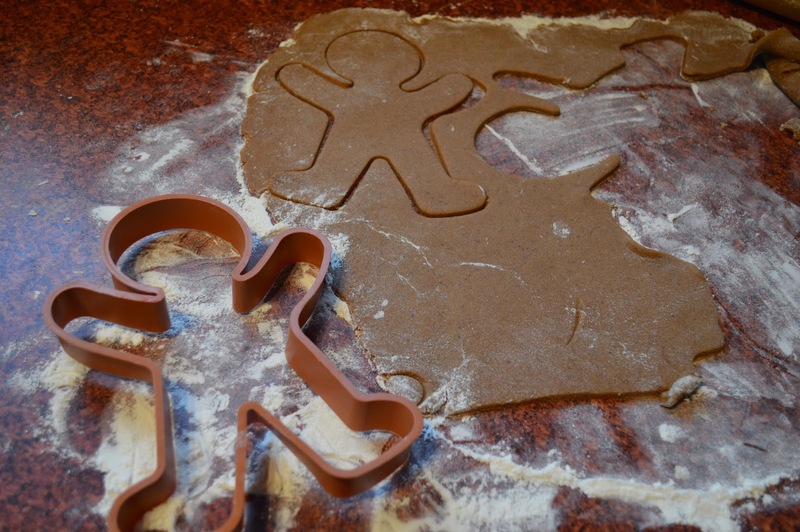 Cut out the cookies with your favorite gingerbread man cookie cutter. 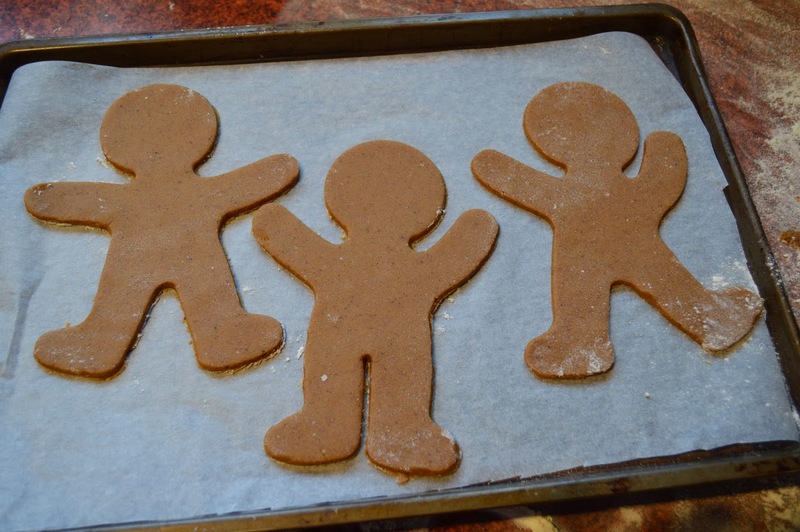 The one above is my favorite -- it makes large cookies (about 5" tall) and the limbs are long enough that they can be bent to make a variety of "poses" for your gingerbread people. Lay your cookies out on parchment-lined cookie sheets and pose them, if you like. Bake 10-12 minutes (don't overbake if you want your cookies soft!). Let cool before decorating. Repeat with the second lump of dough. I like to use Royal Icing on these guys, because it hardens nicely, so the cookies don't smudge if they are stacked. Pipe a few little decorations on the cookies with a pastry bag (or a ziploc with a teeny bit of corner snipped off). 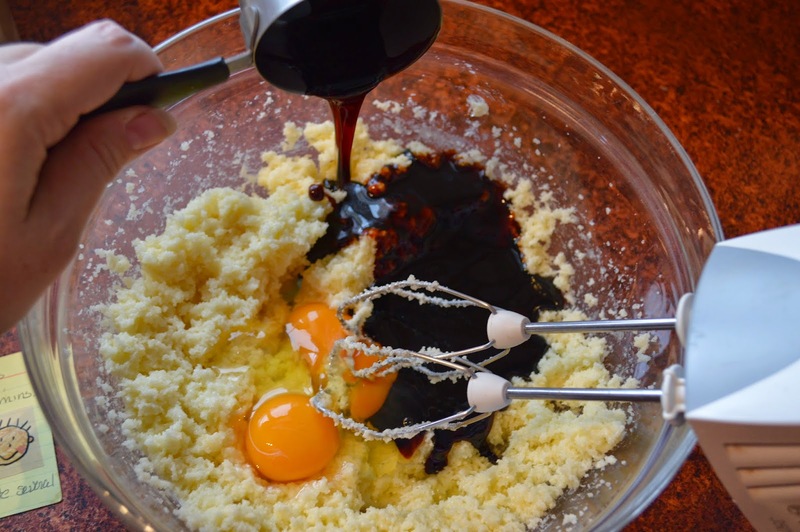 Add in the eggs and molasses. Beat into the mixture. 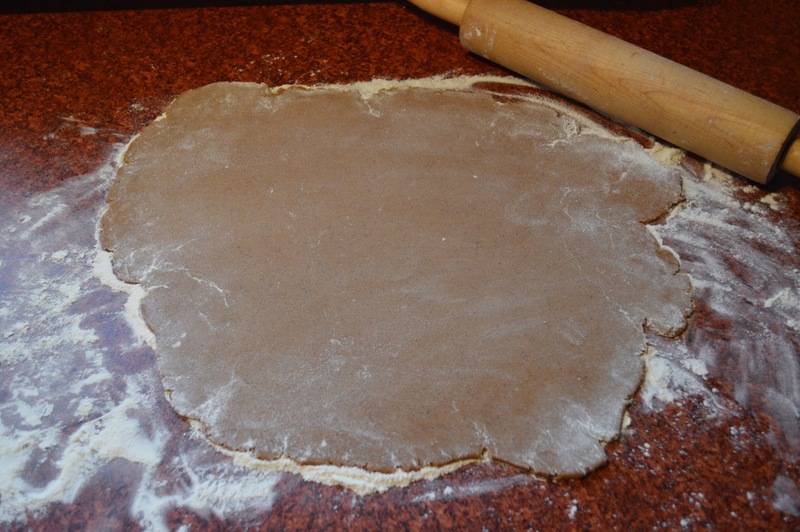 Wrap the dough in plastic wrap and refrigerate several hours or overnight. 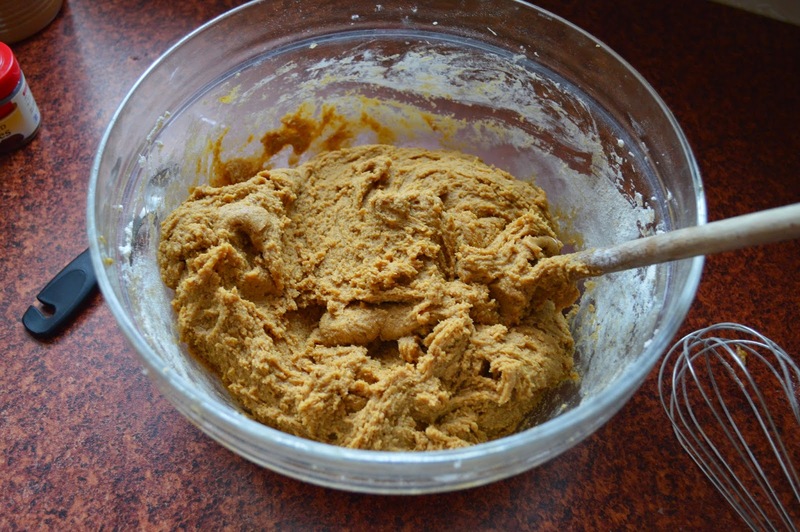 Divide dough into two chunks. Roll out one while keeping the other wrapped and refrigerated. Cut the cookies with your cookie cutter and place on parchment lined cookie sheet. Cool, decorate with icing of choice (Royal Icing recommended), enjoy. Leave a few for Santa.